"Why on earth would you travel all that way when you have beautiful beaches in Australia? ", a friend asks when I casually mention we're taking a family holiday to the Maldives. 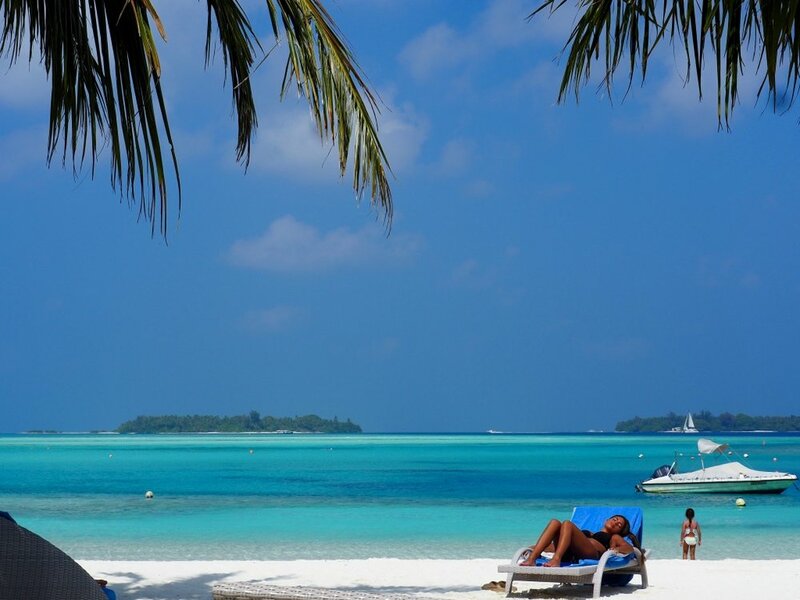 Another question: "Aren't the Maldives just for honeymooners?" Instantly I have buyer's remorse. I wonder whether the romantic holiday stereotype, so firmly entrenched with the island nation, can possibly deliver the family holiday we're after. In answer to my friend's first question, obviously Australia has incredible beaches, a couple of which we live a short stroll from. But are they found on perfectly formed islands and atolls lapped by serene aquamarine waters? Certainly there are some, but not in my neck of the woods. And yes, the Maldives is a long way from Australia – two oceans in fact if you're on the eastern seaboard – and a total of 9149 kilometres as the crow flies (we're talking at least two flights and a boat ride away). From the time we leave our house in Newcastle, to the time we arrive at Holiday Inn Kandooma in the South Malé Atoll we've been travelling close to 19 hours. It's midnight when we're shown to our beach villa and collapse into bed. I decide to reserve judgment on whether the Maldives is family-friendly or not for when I'm thinking straight. We shuffle outside bleary eyed the next morning, walking barefoot across the sand to the water's edge and stare at a shimmering azure coloured lagoon. White curtains on beach cabanas billow in the early morning breeze, crabs march sideways across the sand and palm trees wave against a dazzling blue sky. In the early hours of the morning garden fairies (aka the resort's gardening team) have raked the sand so everything is picture perfect. We walk to breakfast along the beach, uncertain of which way we're heading, as our eight-year-old daughter, skips ahead. "I love it here," she yells to no one in particular. Instantly we're on island time, and the hours spent flying, negotiating airport queues, and missing sleep are forgotten. 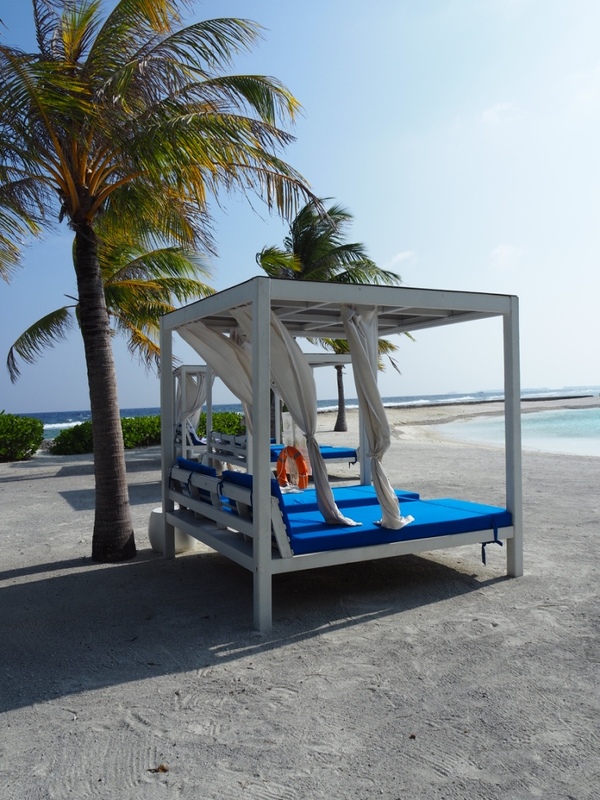 Holiday Inn Kandooma's ultimate accommodation pick: the overwater pavilions for adults only. Breakfast is served (and what a breakfast it is, but more on that later) at Kandooma Café, on the island's north-west side facing its most protected and beautiful swimming beach (Family Beach). The view from our table, where we sit with our feet in the sand, is of the bluest of blue water set against a bone white sweep of beach. To our left a tiered pool steps down to the sea; to our right an outdoor kid's playground is set within eyesight of parents at outdoor tables. Behind us enormous structures covered in thatching, their design inspired by sea barnacles, house two of the eateries, as well as Kandoo Kids (the kids club) and the cavernous reception area. Our first day is spent mostly comatose on a sun lounge and exploring the 150,000-square-metre island with its 160 villas, exclusive surf break, resident marine biologists, and string of beaches. There are three restaurants, including the signature Kitchen. Above the Kitchen is a rooftop deck overlooking a beach where an army of crabs resides. It's where we gather each night for sundowners, choosing cocktails from an iPad menu. But the thing that makes the biggest first impression is the kids club, the type of which I'd not expected in the Maldives. Housed in one of the barnacle like structures, Kandoo Kids was completely redesigned and rebuilt at the end of 2014. It's entered via a fun suspension-type bridge. Outside is a fantastic splash pool with waterslides, tipping buckets, a low wading pool, a spray wall and water cannons. 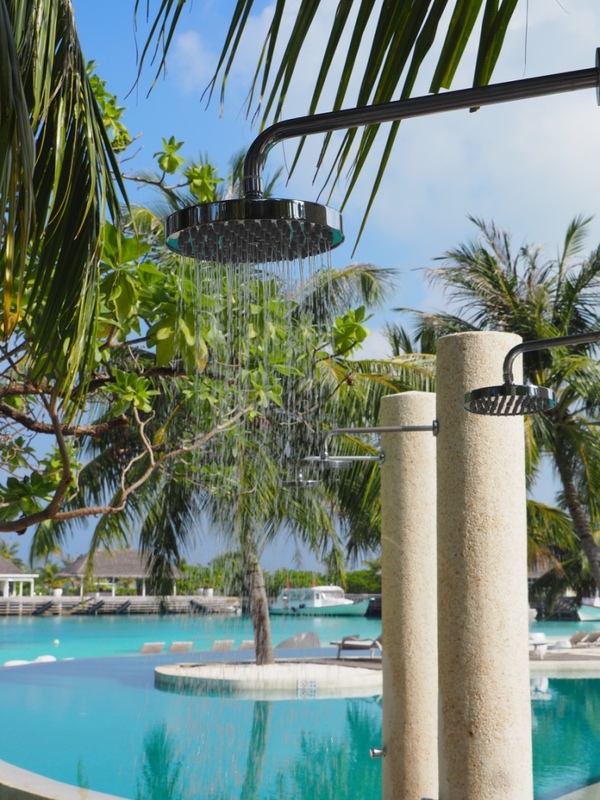 Inside the two-level, air conditioned space is a whopping 500 square metres, one of the biggest and most modern children's facilities in the Maldives. The ground floor is designed for younger children (including a ball pit, our daughter's favourite); upstairs with older children in mind is a library, interactive gaming room and more. There are swing seats for hanging out on, and oversized shark cushions for curling up on with a book. Kids club staff (Kandoo hosts) are a mix of local and Indian women (resort staff hail from 27 nations) who keep children entertained with activities such as henna hand artwork, face painting and cake decorating. Ella returns one day with a beautiful handmade red paper flower; another day they collect shells and feed the fish. 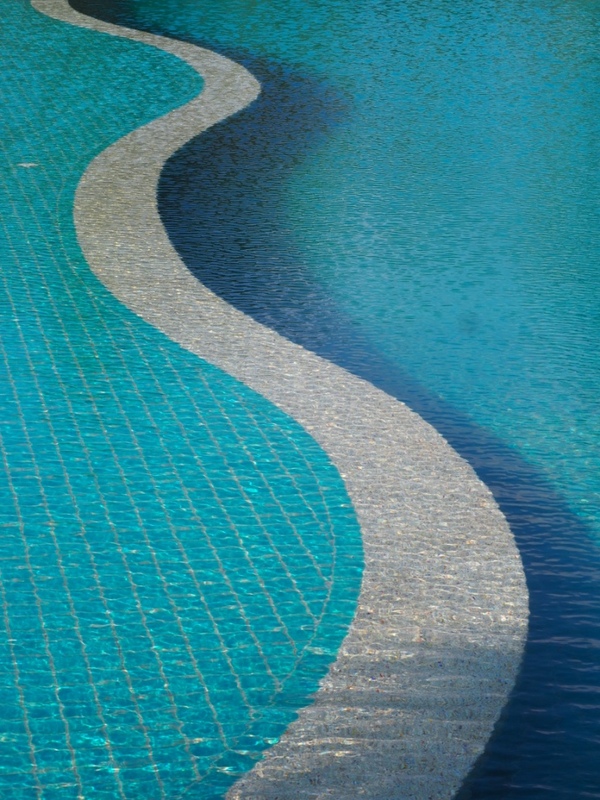 Kids club aside, the water is where it's at no matter what your age. One afternoon we join a sunset cruise, laughing and screaming as we are dragged along in boom nets lowered into the water. Afterwards we enjoy a glass of wine as another Maldivian sunset lights up the sky. Another afternoon we join a snorkelling excursion with marine biologist Mohamed Ushan to Turtle Point. There are scores of us on the boat, including the happiest Lufthansa flight crew ever (they get to spend five whole days in the Maldives before the return flight), but Ushan singles Ella out, grabbing her hand and showing her a huge hawksbill turtle. We see five turtles all up, as well as multi-coloured coral and hundreds of tropical fish. Our room, a beach villa (94) is on the smaller side at 48 square metres, but contemporary and fresh with a white, beachy interior. What it lacks in size it makes up for with a spacious outdoor bathroom and a deck and hammock directly facing the lagoon. Most of the accommodation was built new following the 2004 tsunami. The pick of the accommodation is the overwater villas that are perpetually booked out by honeymooners. For families the two-storey beach houses are ideal. These duplex style houses look much the same inside as our beach villa but come with one or two bedrooms, along with a cool outdoor living room (with a sandy floor), either facing the Indian Ocean or nestled in lush foliage. Naturally our days are spent in or around the water. We take a dive with Euro Divers, enjoy a massage at the Como Shambhala Spa, hunt for hermit crabs, snorkel around the jetty and overwater villas. Resort general manager Joseph Della Gatta, who hails from Perth, tells me come May-October (the Maldives surf season), Australians are the resort's biggest market. "Most stay on the beach side of the island where it's possible to paddle out to a near perfect right-hander peeling away metres from shore," he says. The resort's surf program is run by Australian-based tour company the Perfect Wave. With an additional world-class left, six more waves a short boat ride away, and resort facilities on tap, it's become a hotspot for surfers travelling with their families (or families of surfers). Another highlight of Kandooma is the cuisine, produced by a team of 58 chefs originating everywhere from Vietnam, Thailand, Bangladesh, India and Sri Lanka. I've never been a fan of buffets, but the resort takes it to the next level. Breakfast features everything from a western egg station, Vietnamese noodle soups, Chinese dim sum, Indian dishes, pastries, a Continental section, and fresh fruit. An over the top chocolate fountain is offered in a special cool room. Some nights dinner is held alfresco. One of my favourites is the Maldivian BBQ set under the stars and lit by lantern light at the island's West Beach. Sous chef Dian from Indonesia presides over a sizzling barbecue serving up, hands down, the best chicken wings I've ever had. Hearing this, he searches me out and asks if I'd like them again another night. That's the kind of service you can expect here. From the local Maldivians staff who greet us each morning, to the softly spoken Asian waitress who knew our coffee order by heart by our second morning, staff simply can't do enough for you. By far and away the most memorable dining experience is "Dine-in at the Kitchen" held every Wednesday night. Chefs at individual stations grill lobster, another rolls perfect Peking duck. On a huge carved out fish lies the freshest of sashimi and just prepared sushi. The dessert station is mind boggling. But before we tuck in we head outside to the rocks overlooking the beach. Two staff members haul out a huge tub of not so nice smelling fish, but there's a reason for this. As if on cue, large reef sharks circle in the shallows and feed on fish being thrown into the waves. A large crowd of guests gather, children cheer and the sun sets on another day in paradise. So in answer to question "Is the Maldives just for couples? ", I can now firmly reply in the negative. Having experienced the phenomenal Holiday Inn Resort Kandooma first hand, I'd say heck, bring the whole brood. Singapore Airlines and subsidiary Silk Air offer the quickest (and most seamless) flight time from Sydney to Malé (14 hours) on Friday, Saturday and Sundays via Singapore, and daily return (15 hours). They also fly from Melbourne and other Australian ports. See singaporeair.com. Boat transfers to Kandooma from Malé Airport take 45 minutes and cost $US229 return per person.